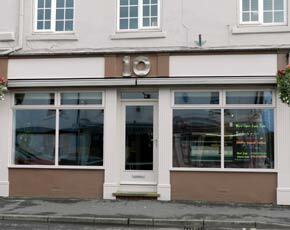 Founded in 2002 No 10 coffee shop is more than just a Coffee shop. Along with the usual high quality freshly ground coffees and teas there is a full and balanced menu with vegetarian options. All the ingredients are purchased fresh and as locally as possible. Salads are sourced using a Hornsea based specialist Greengrocer, free range eggs and fresh meats come from the Butchers over the road and any sandwich fillings not made on site come from a producer less than fifteen miles away. We pride ourselves in having a clean, warm and relaxed environment. Guests are never hurried, so why not drop in and enjoy a coffee and something to eat.